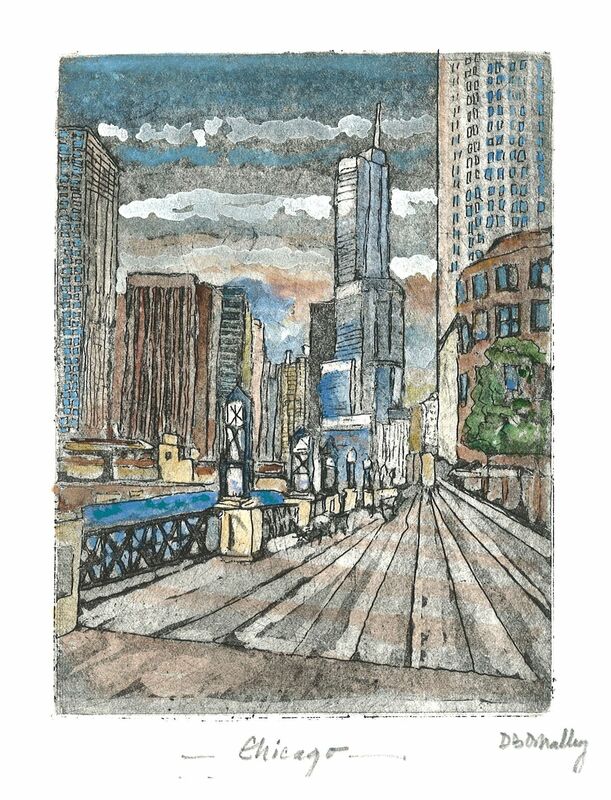 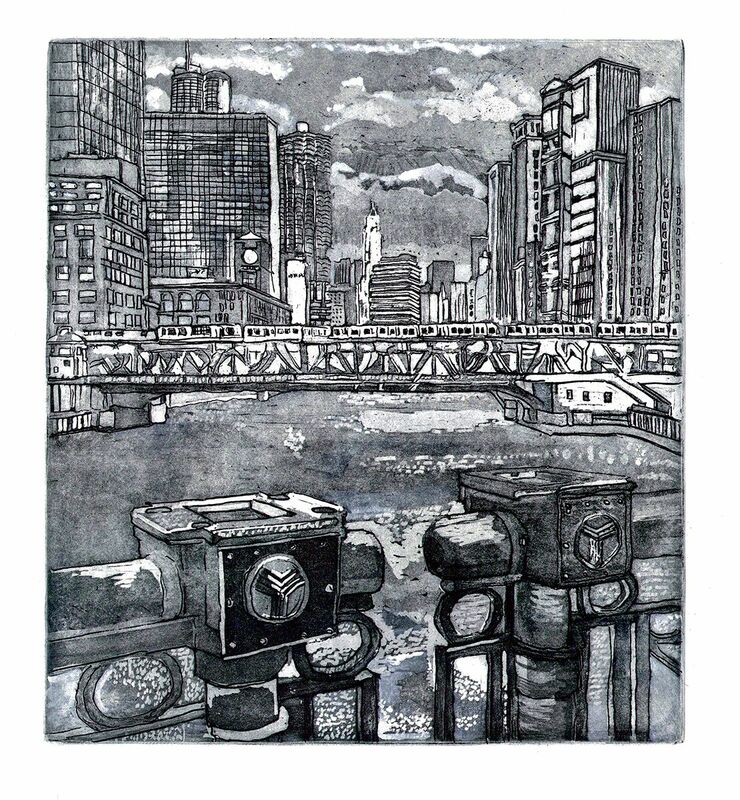 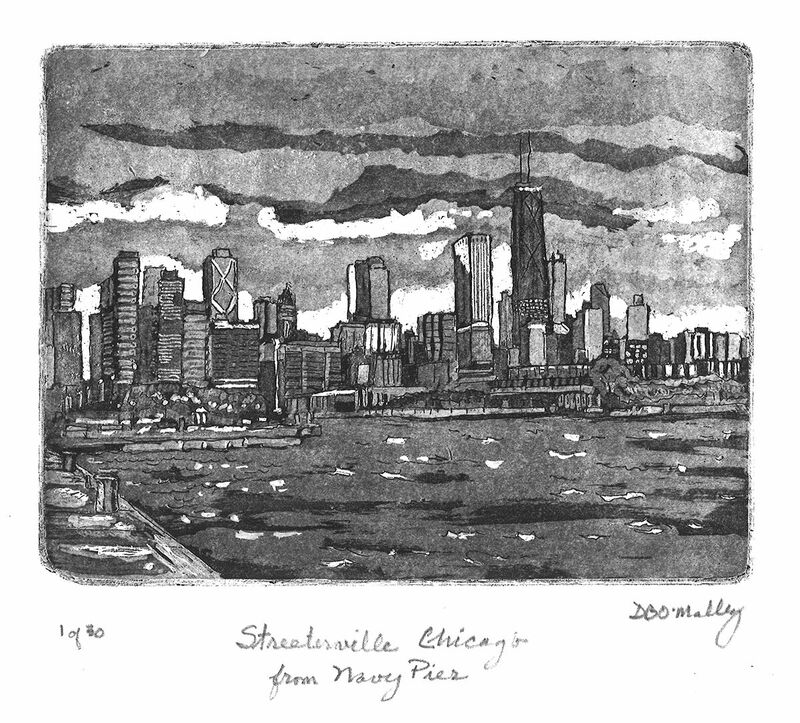 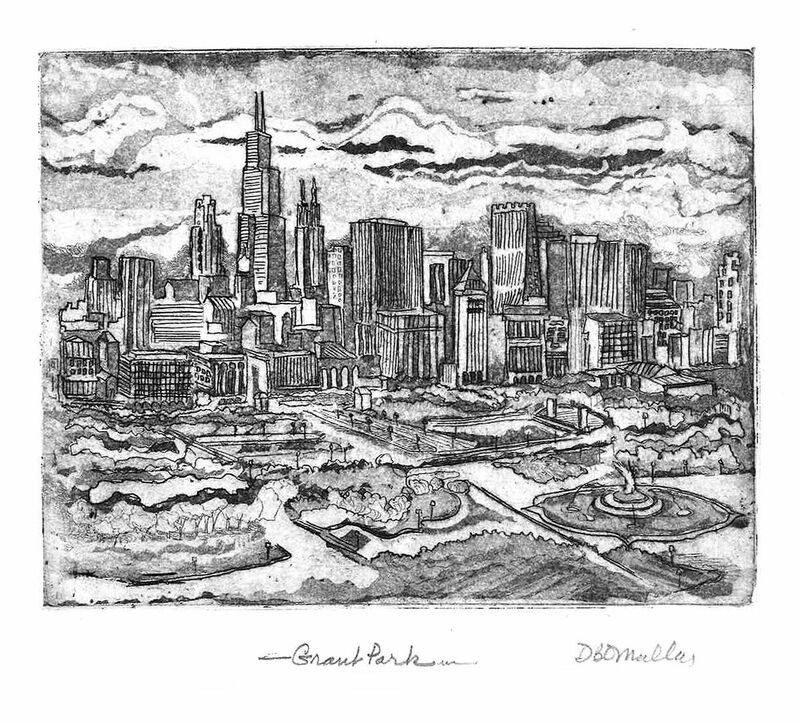 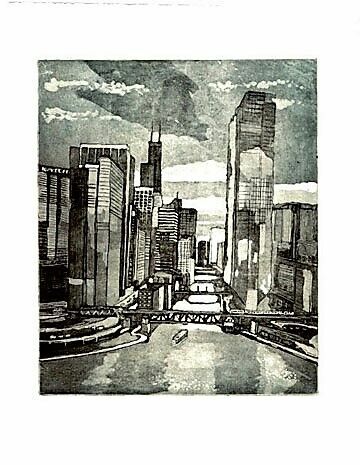 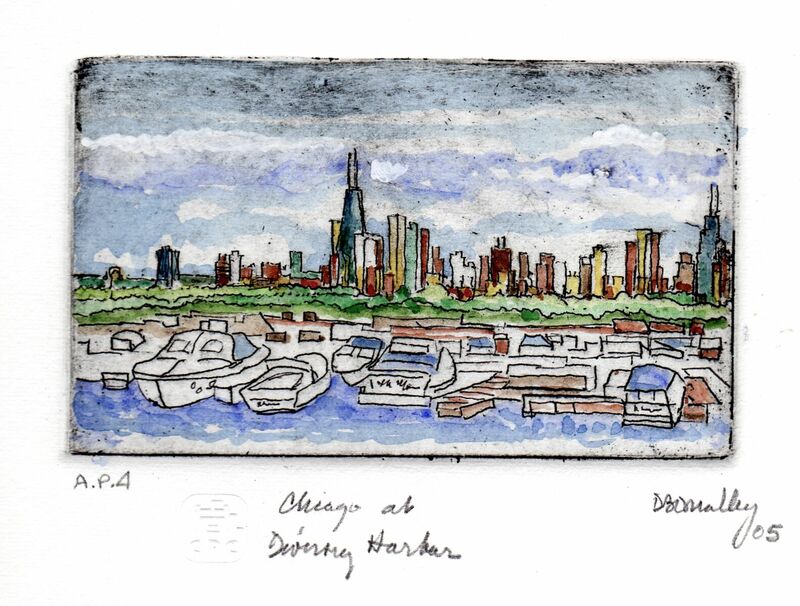 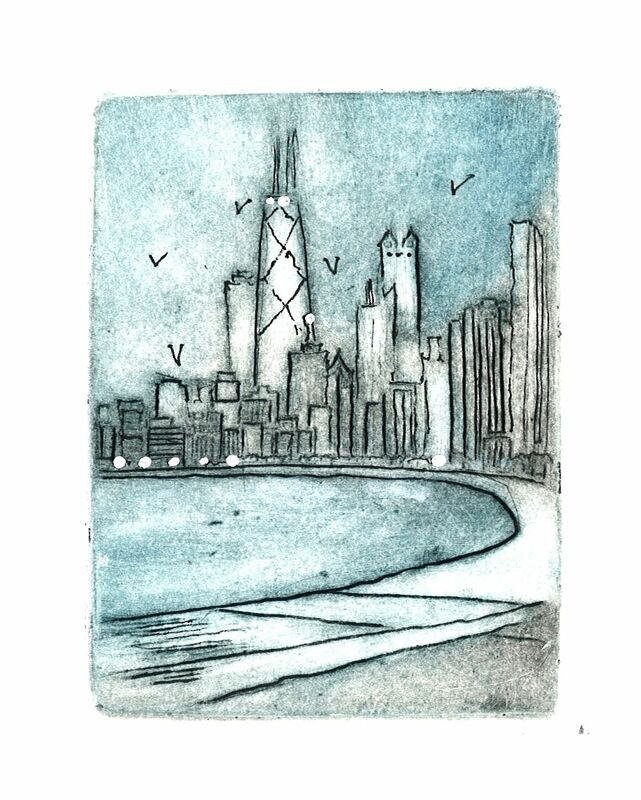 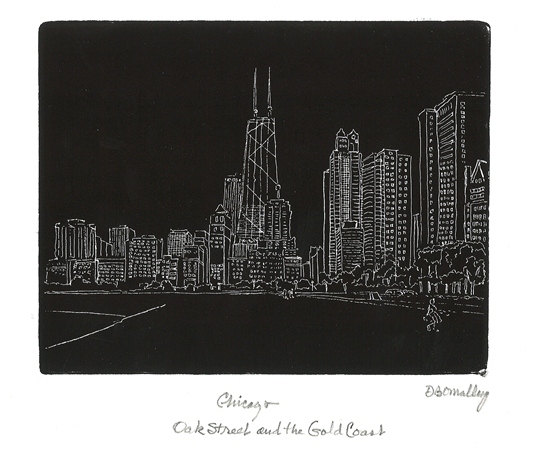 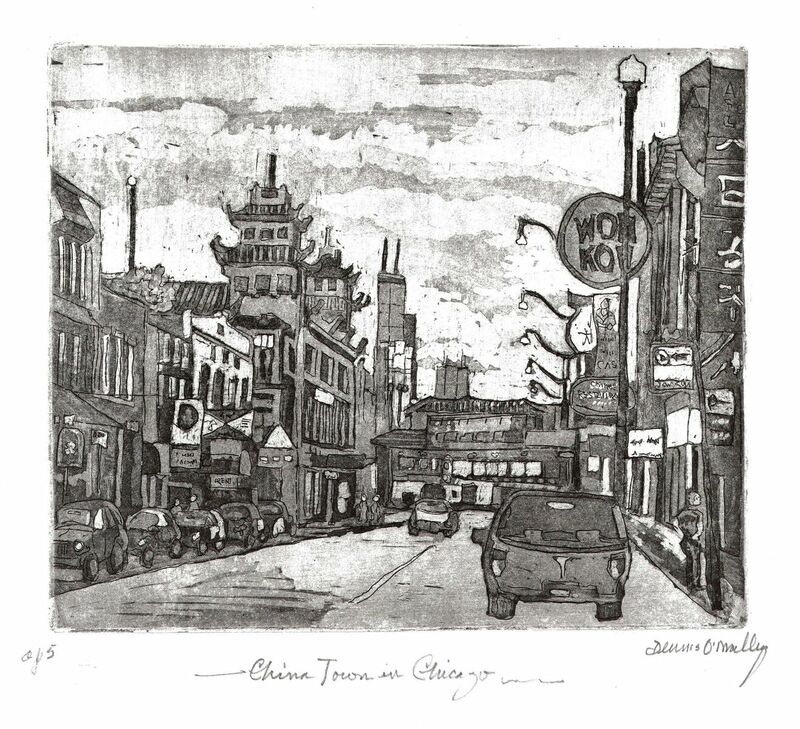 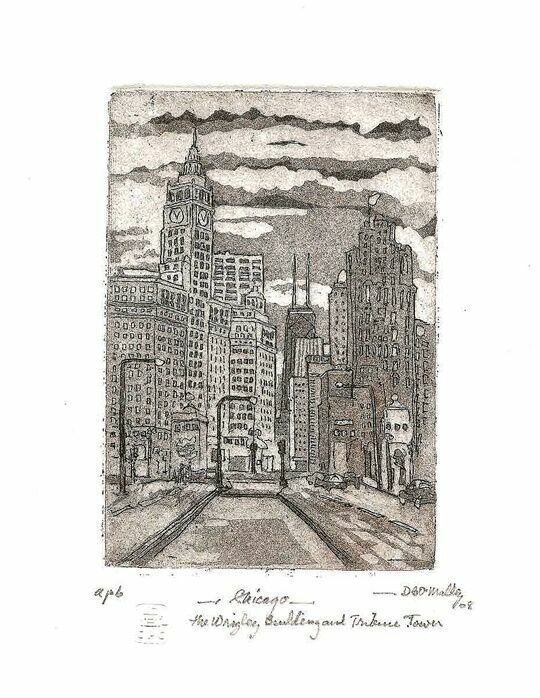 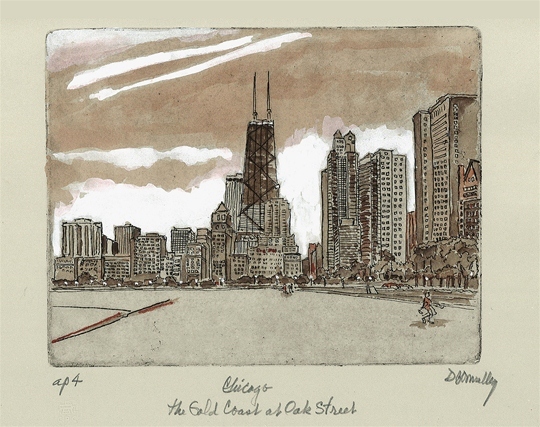 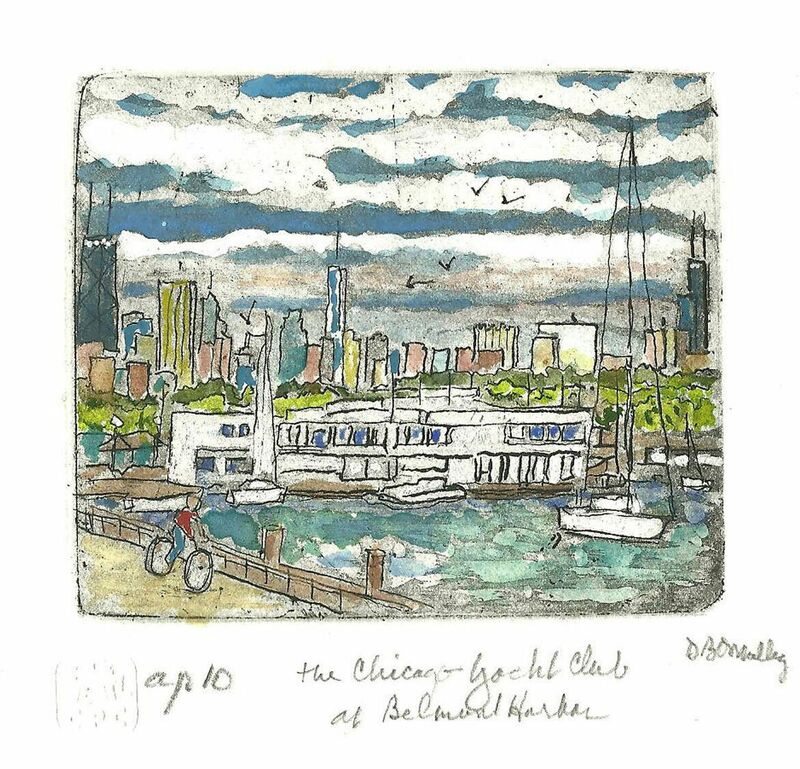 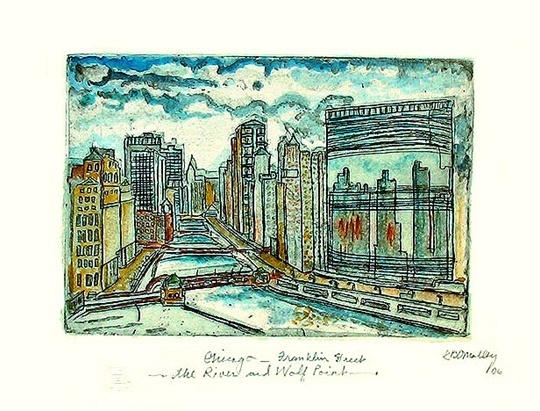 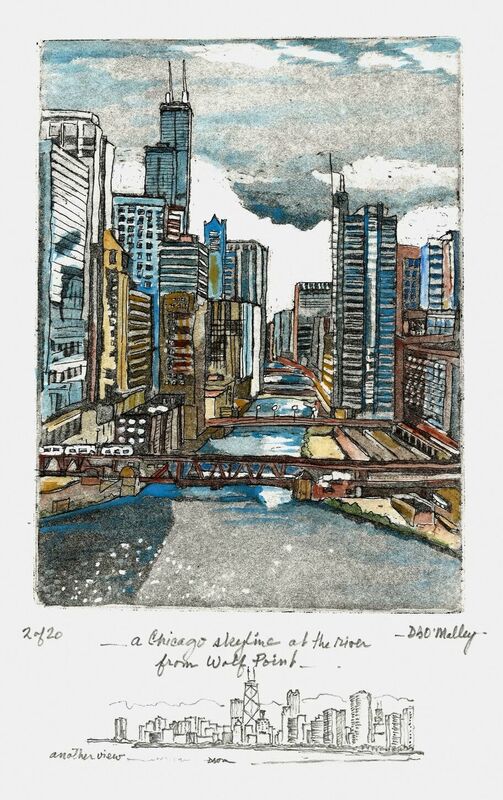 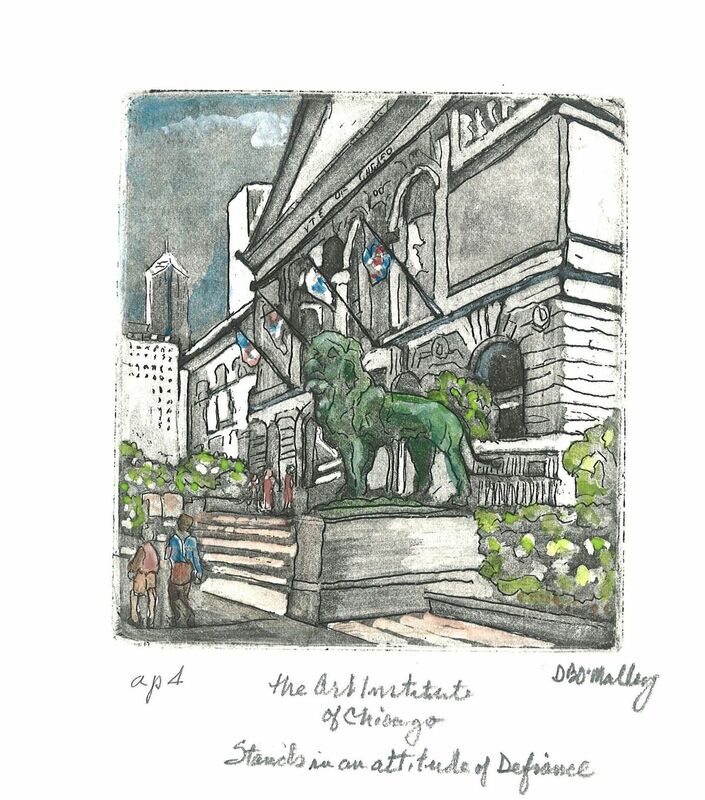 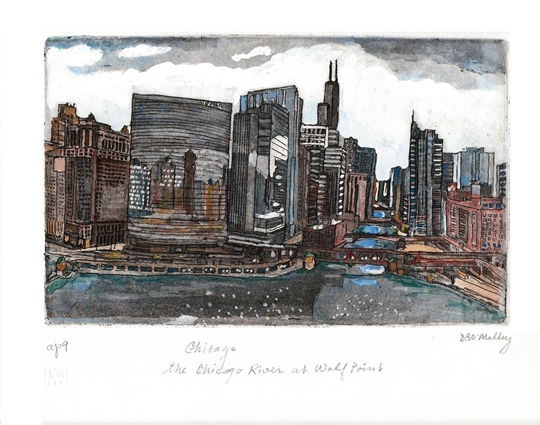 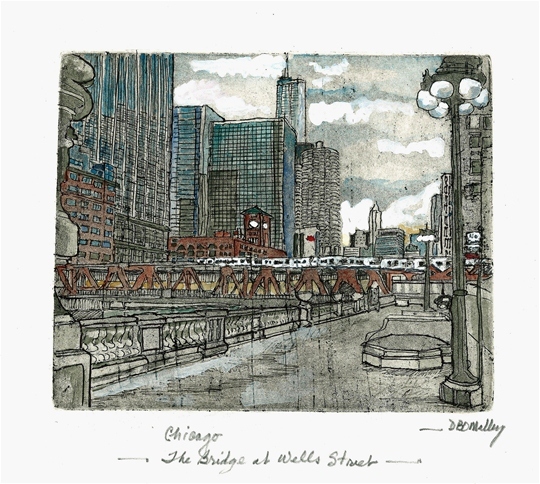 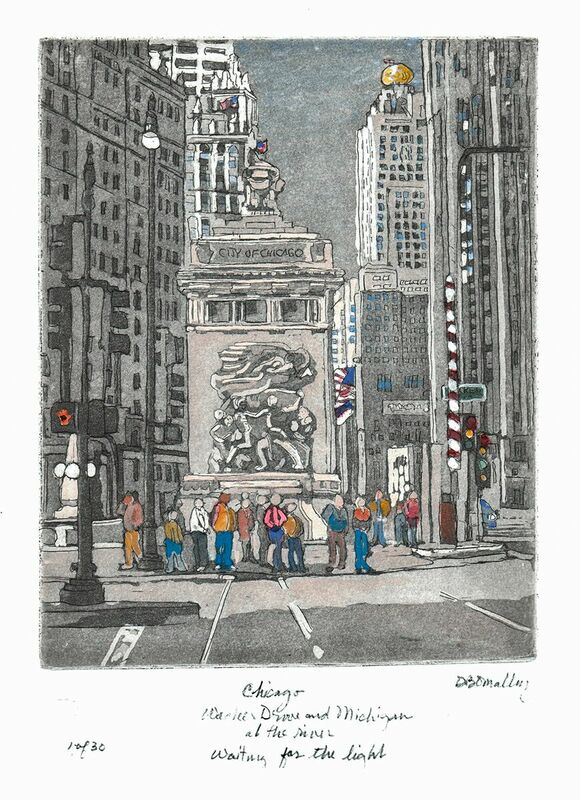 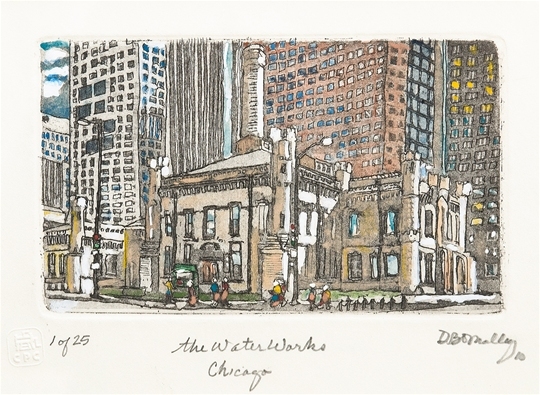 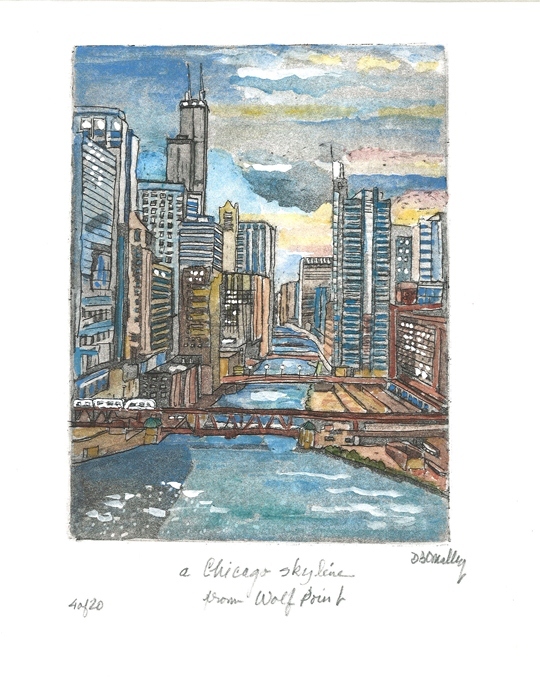 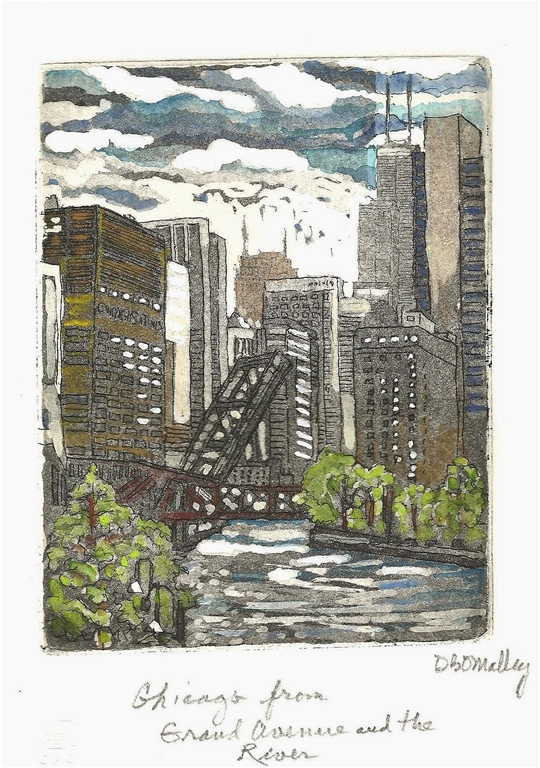 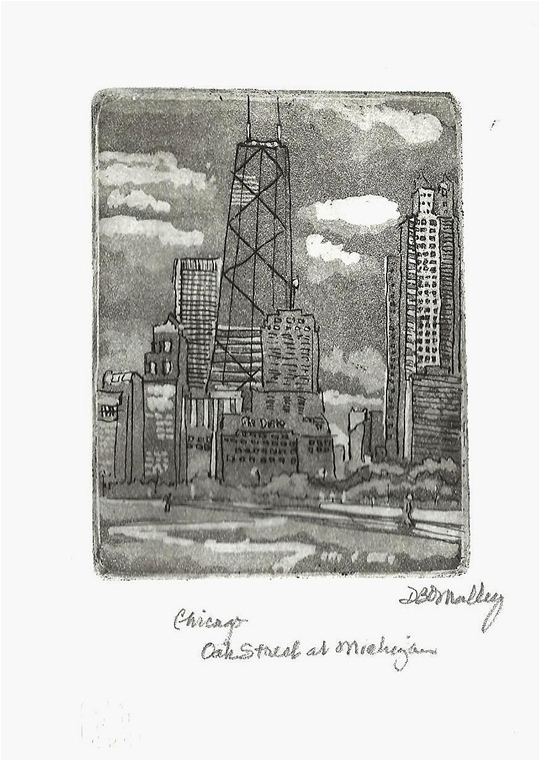 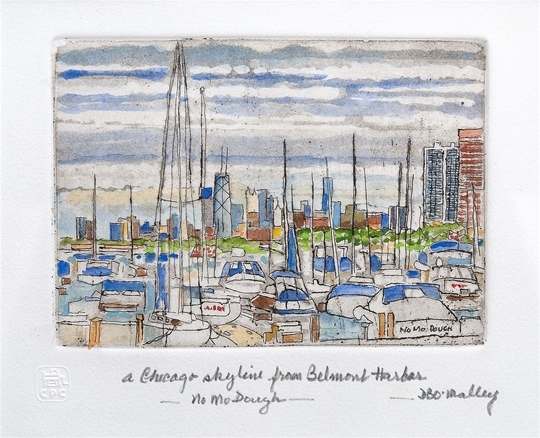 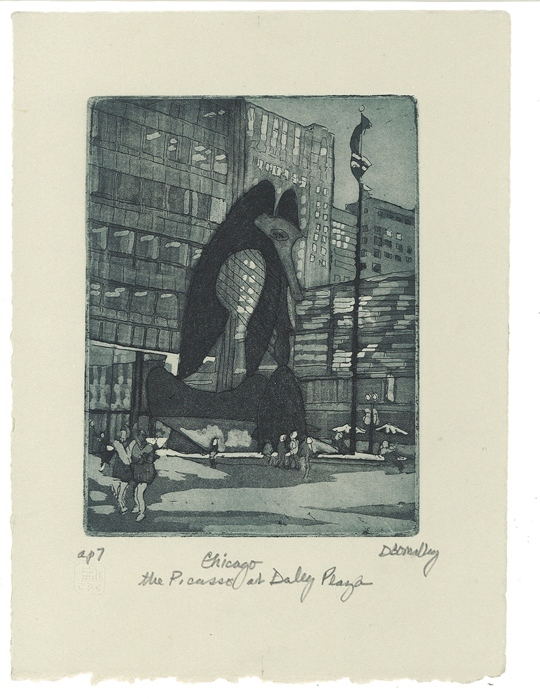 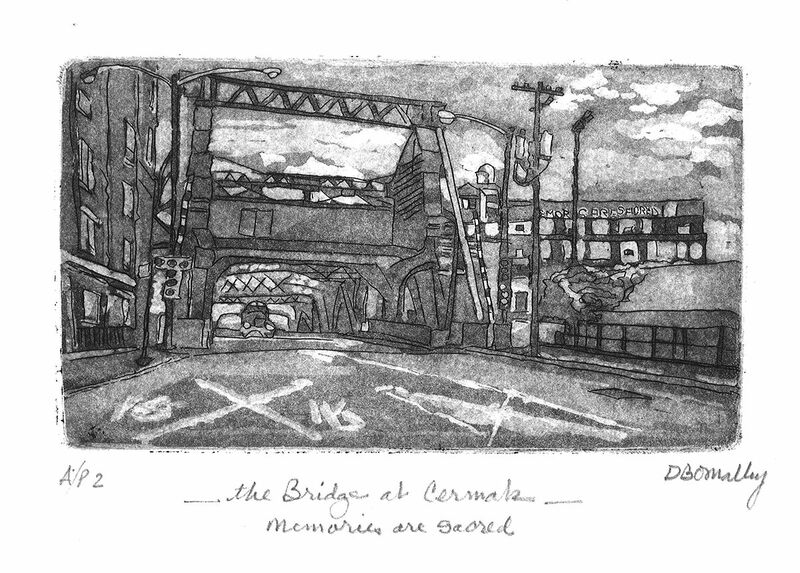 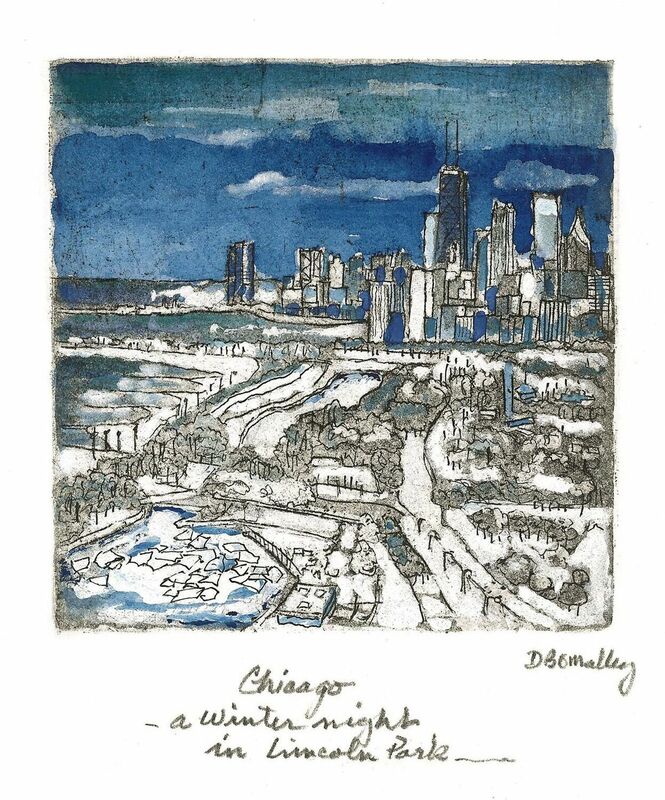 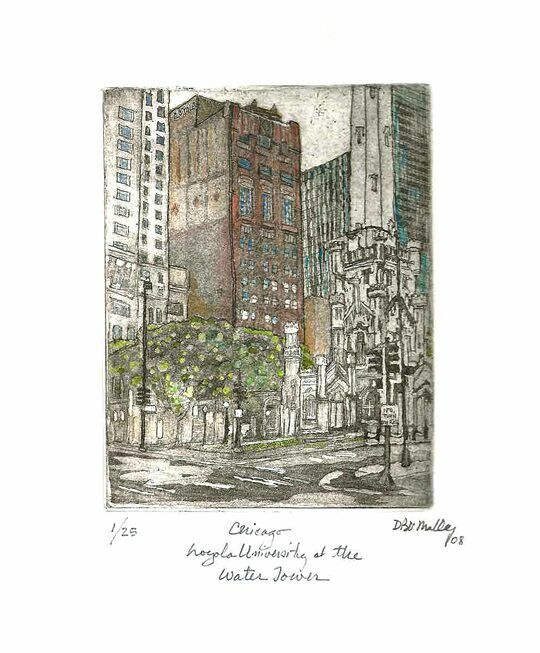 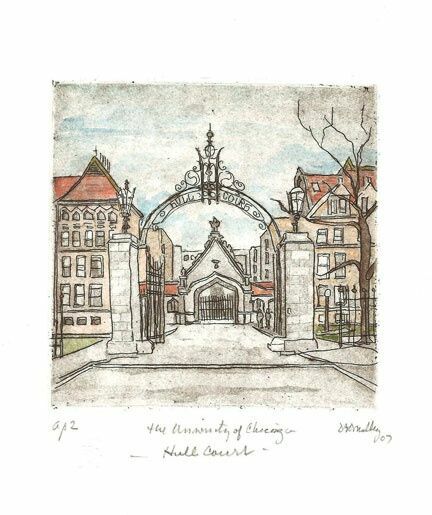 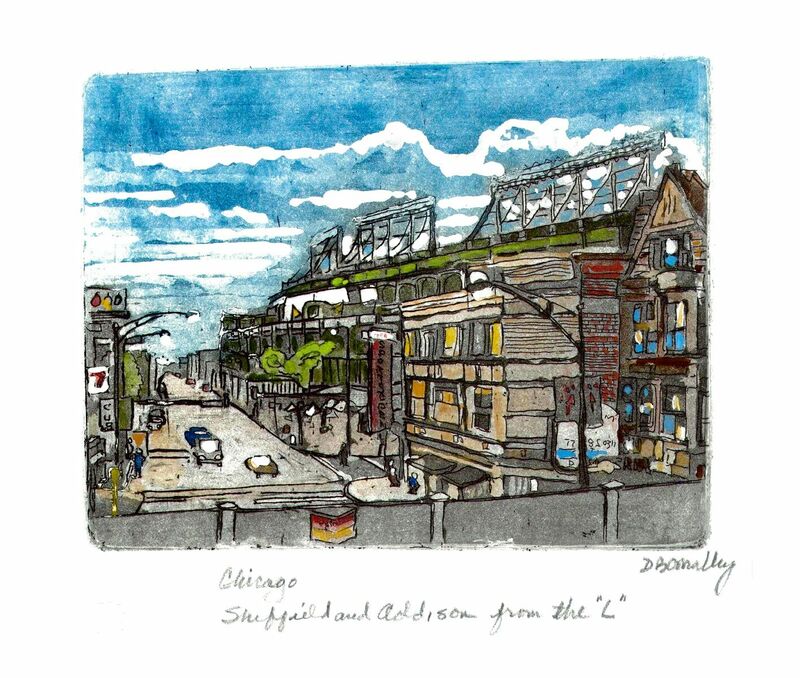 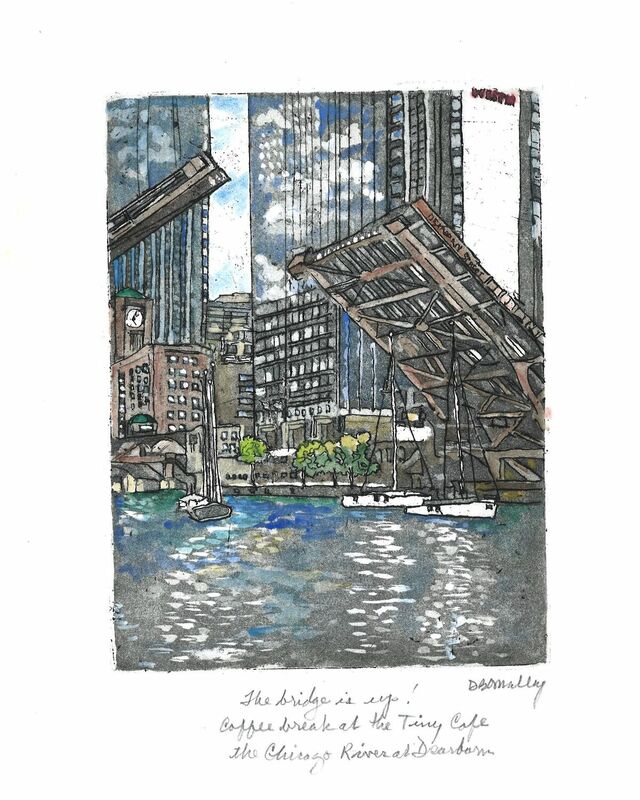 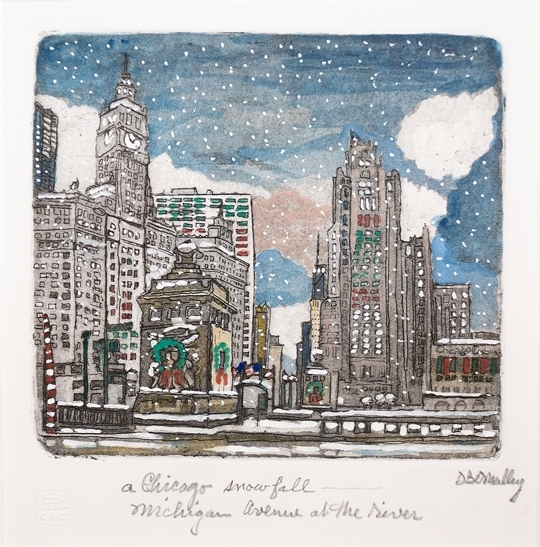 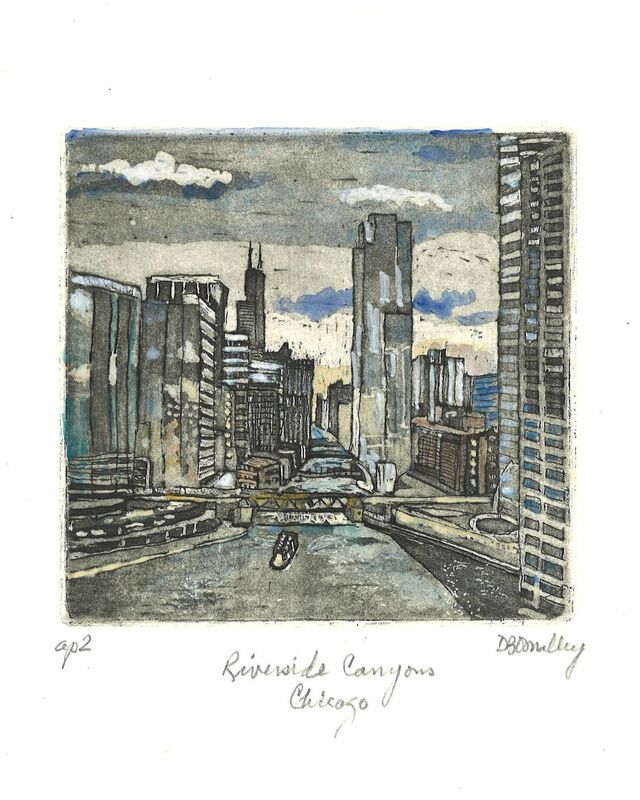 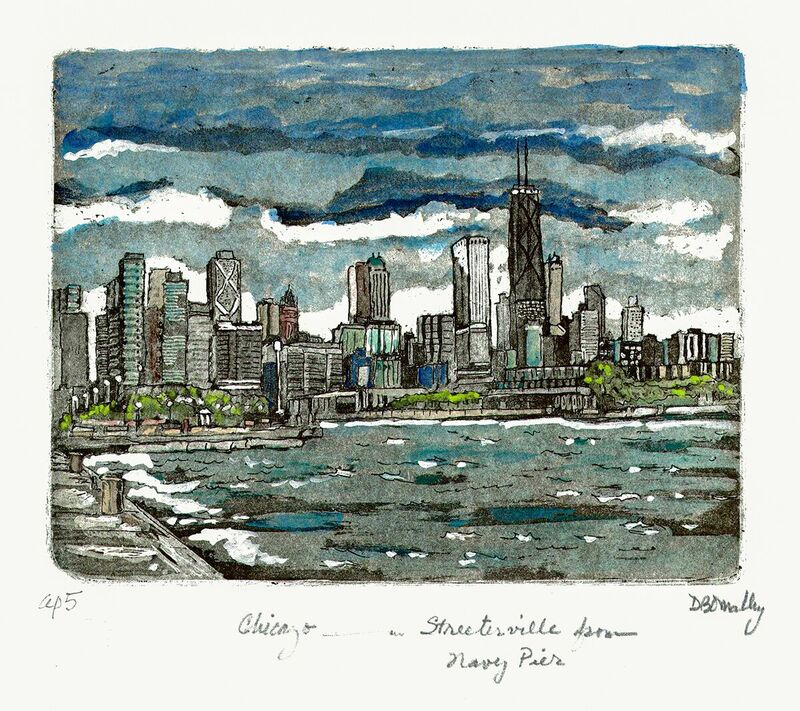 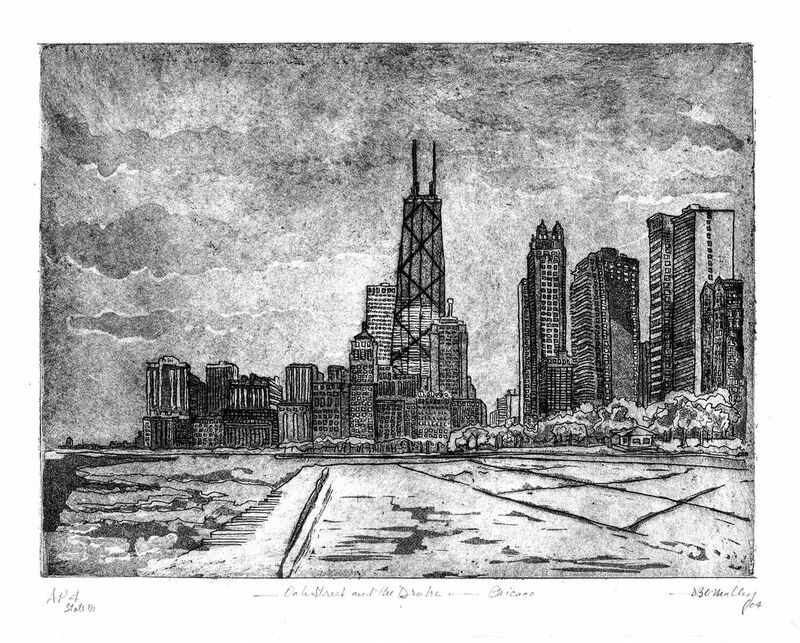 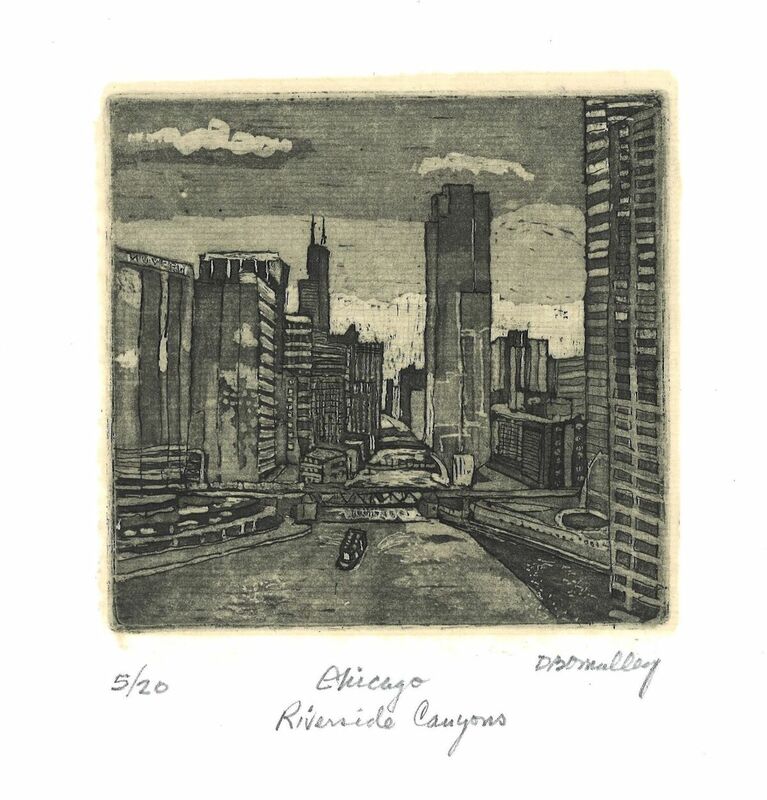 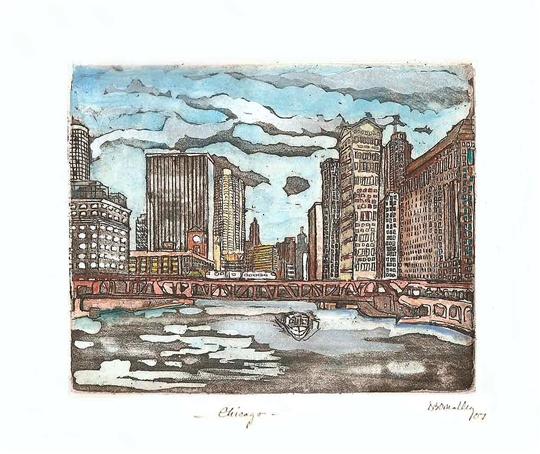 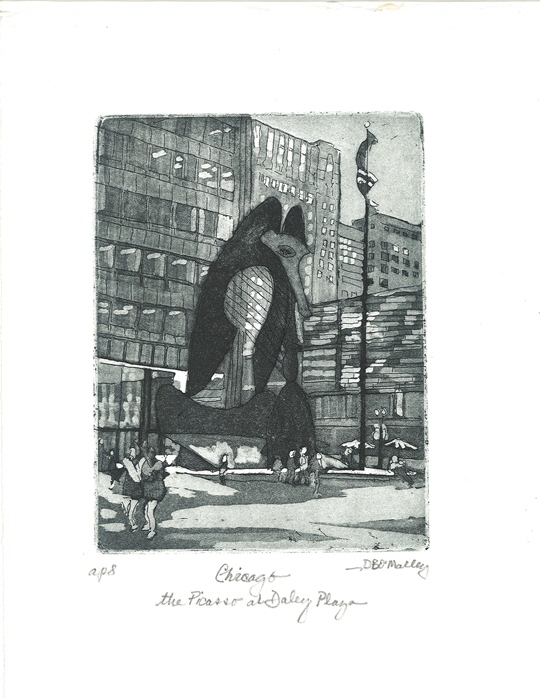 Dennis O’Malley, an active member of the Chicago Printmakers Collaborative and celebrated artist, has many stories to tell of his hometown — Chicago. 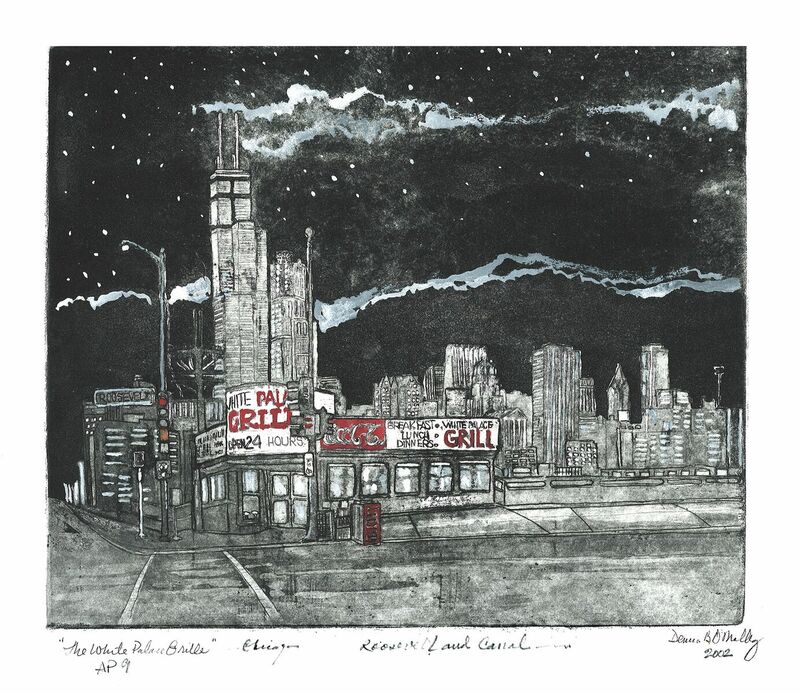 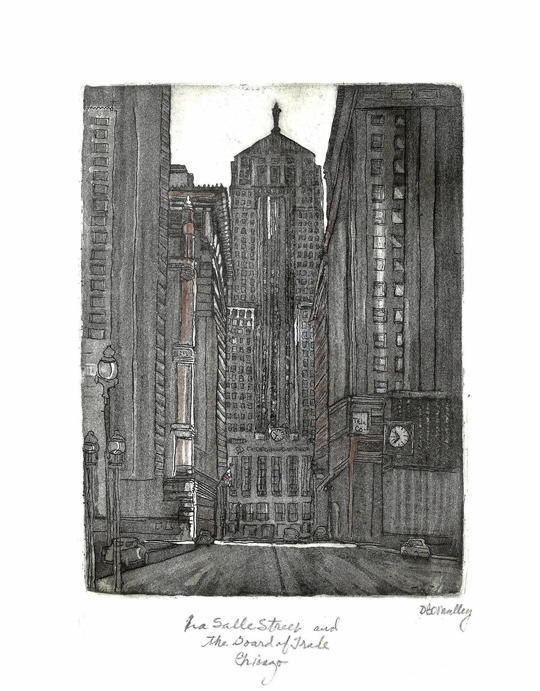 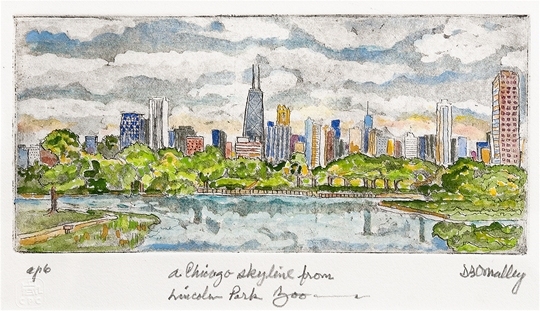 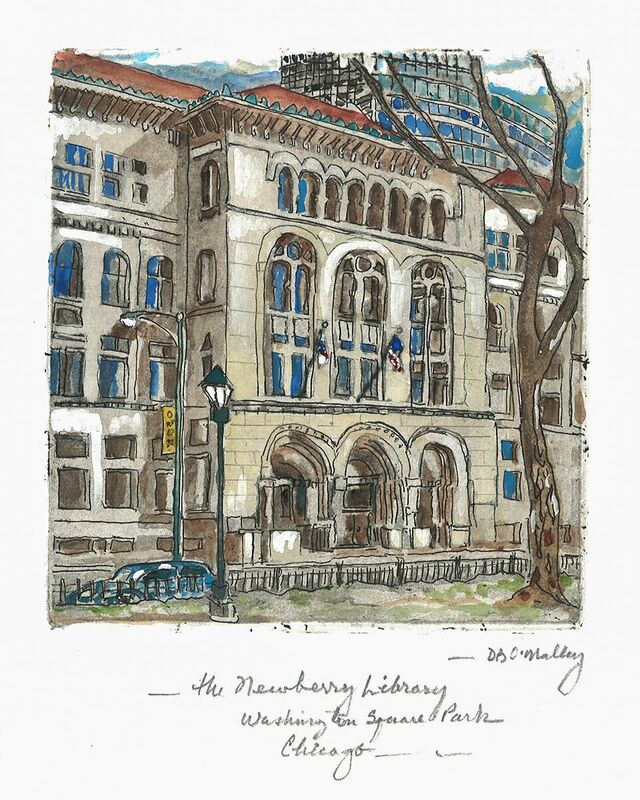 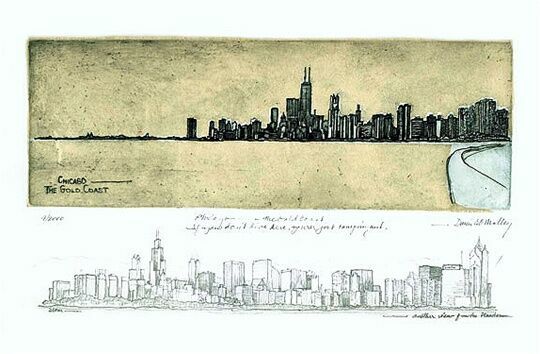 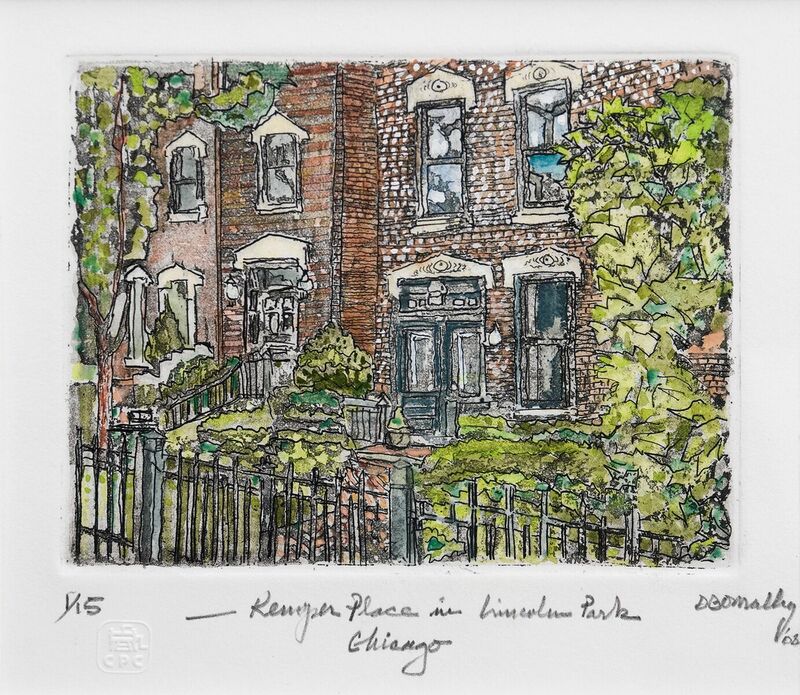 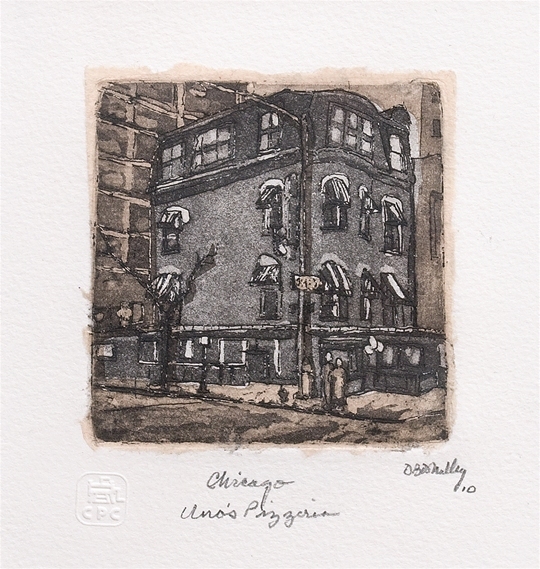 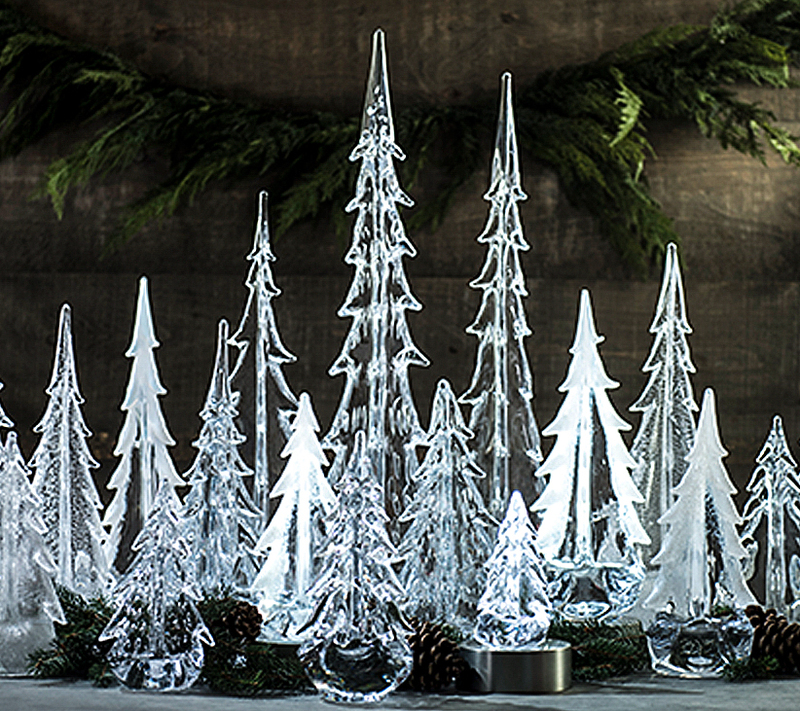 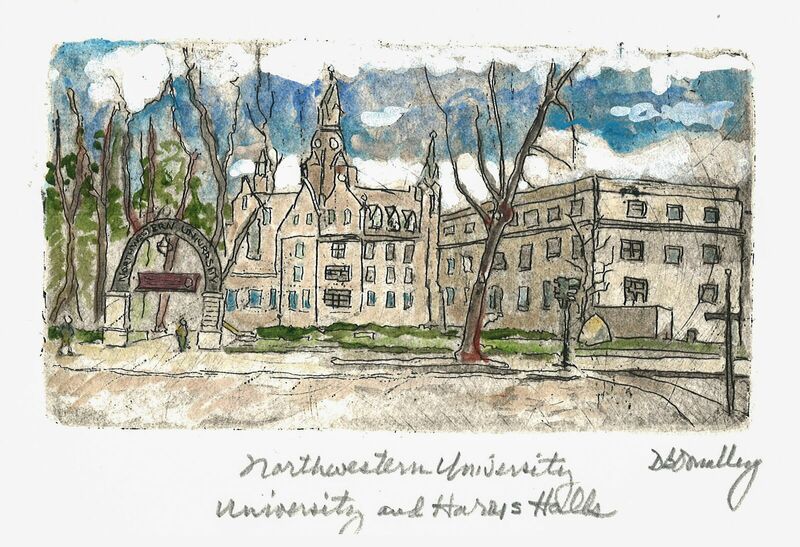 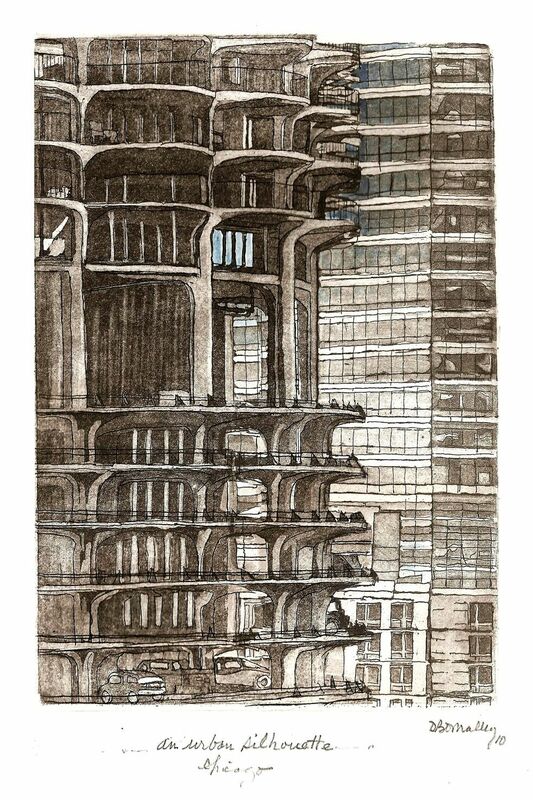 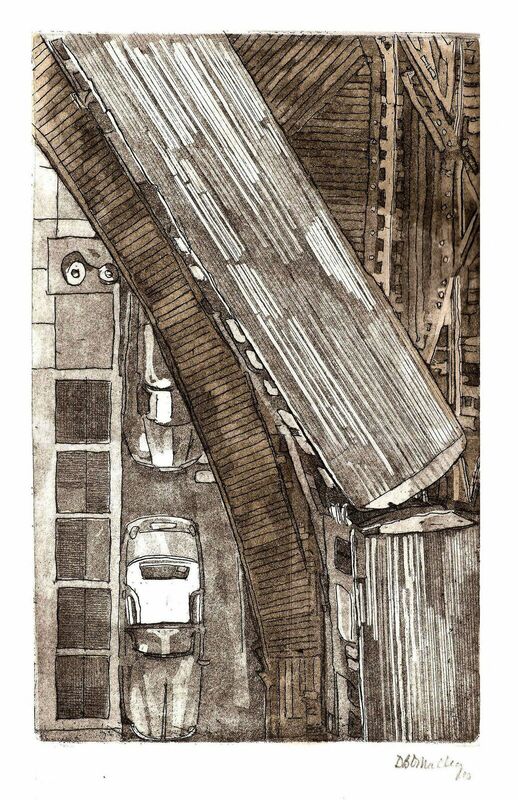 It is this passion that inspires his work featuring the many sites that Chicagoans hold dear. 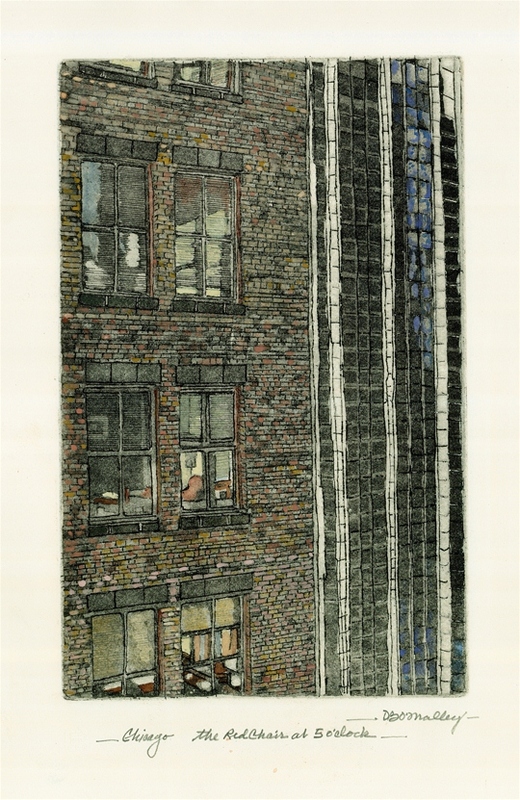 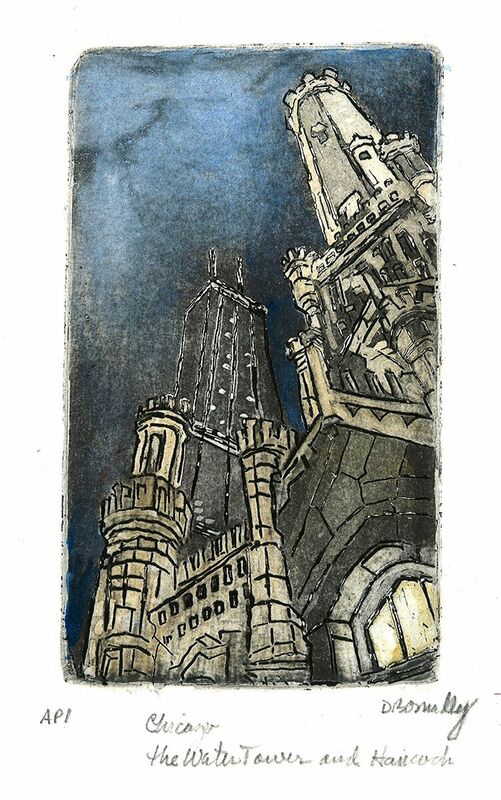 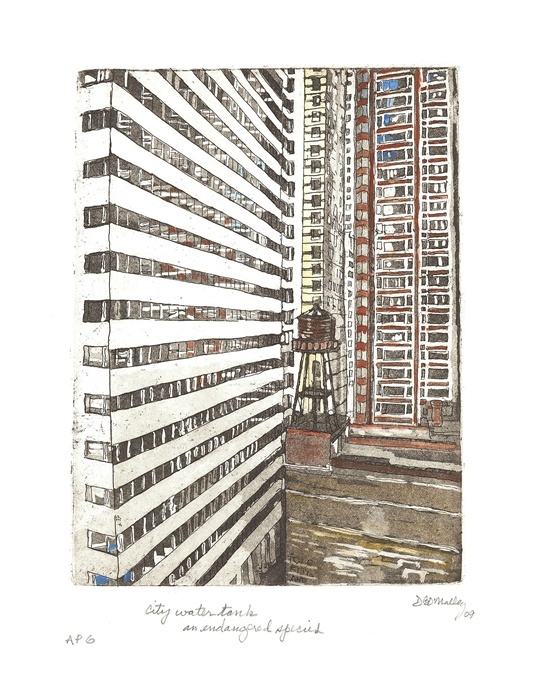 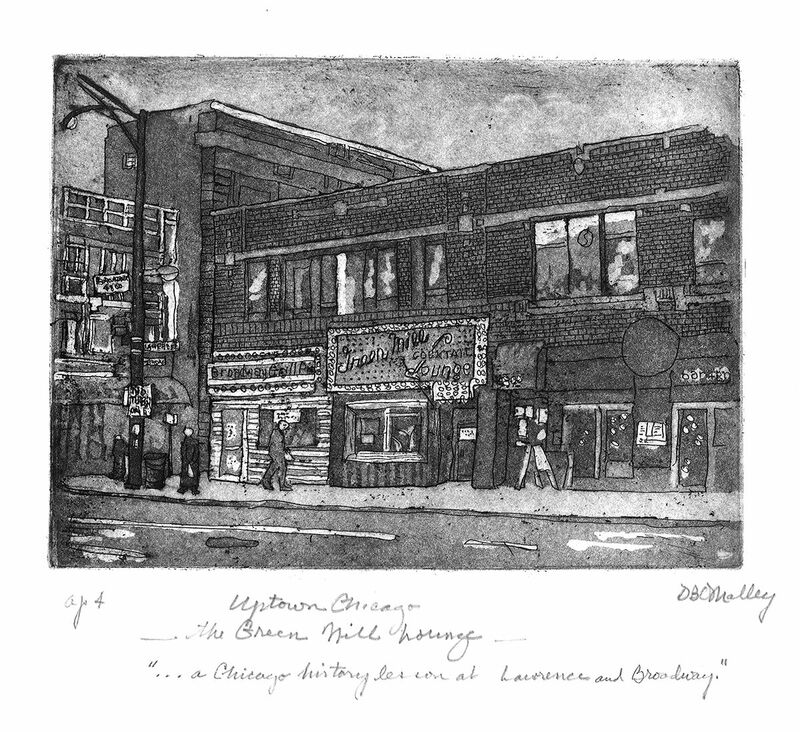 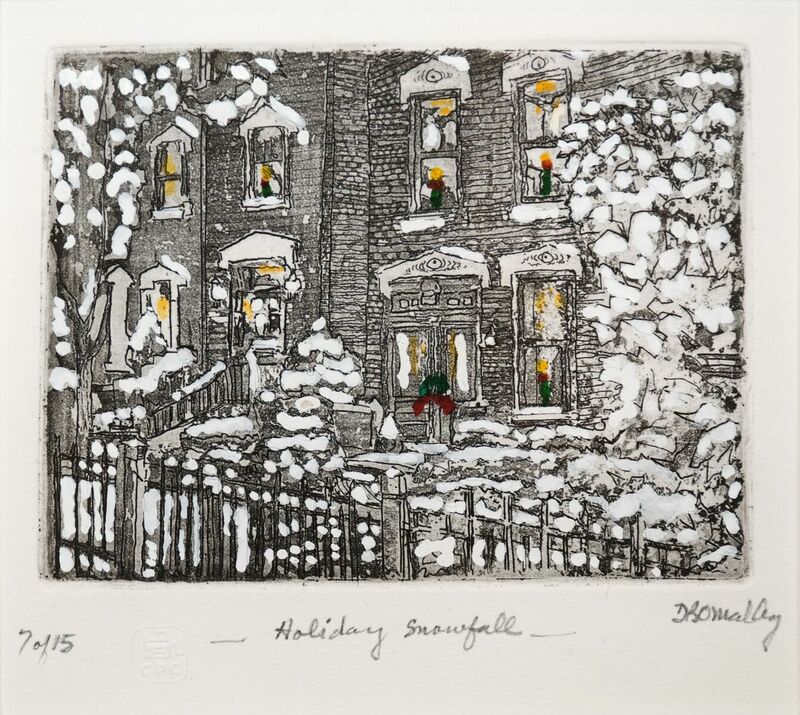 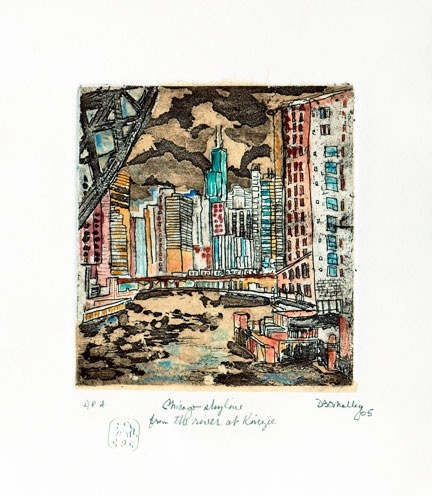 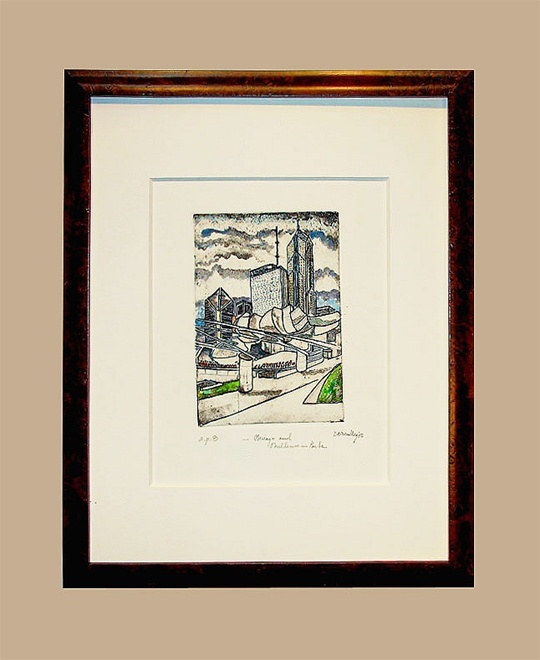 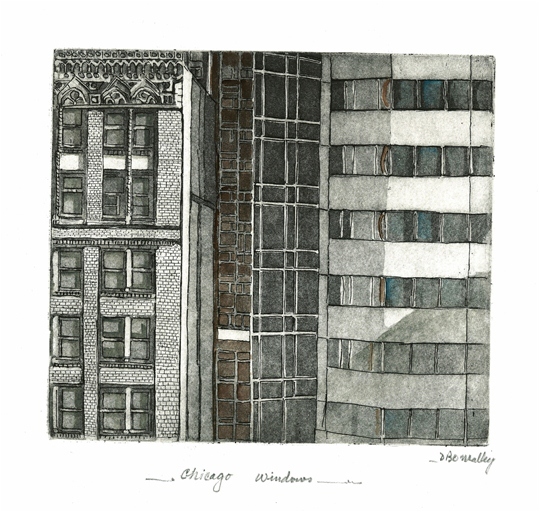 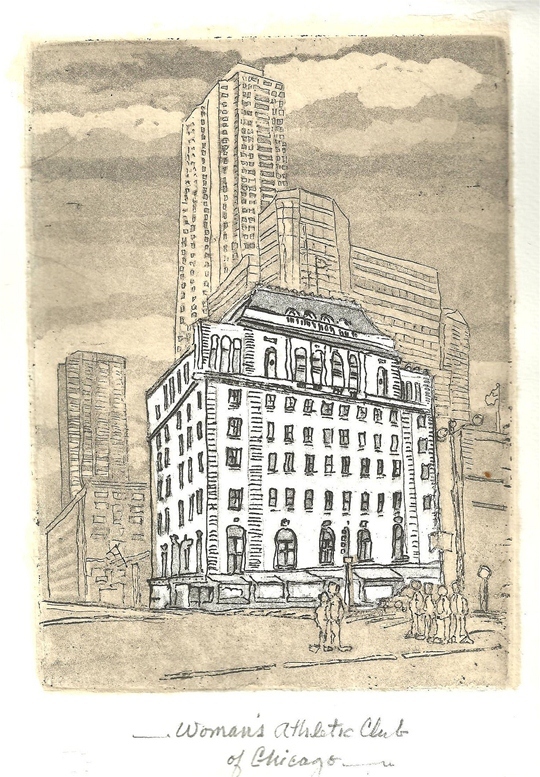 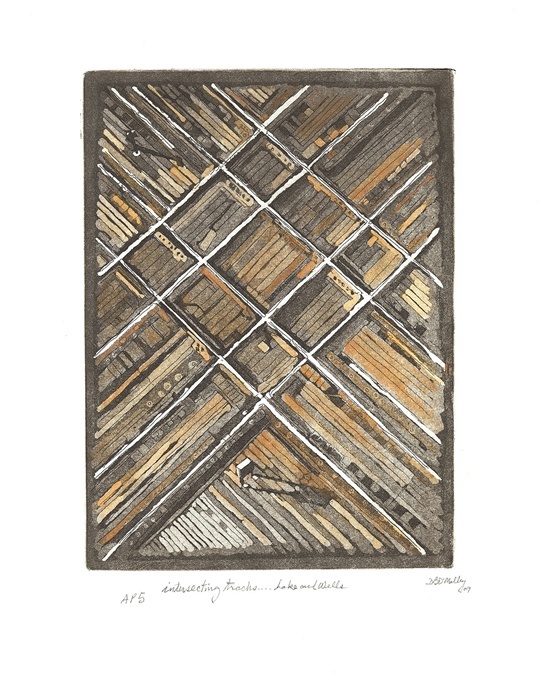 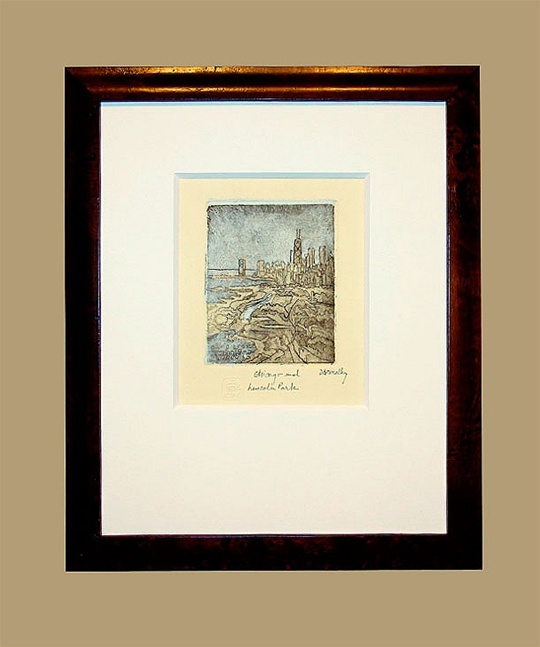 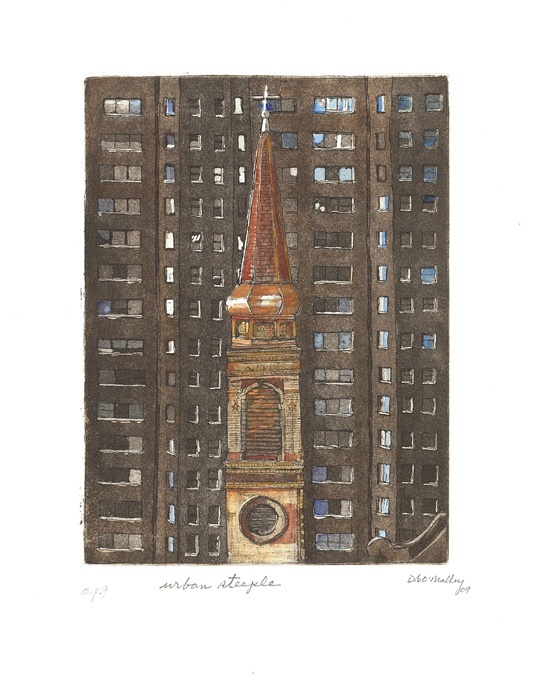 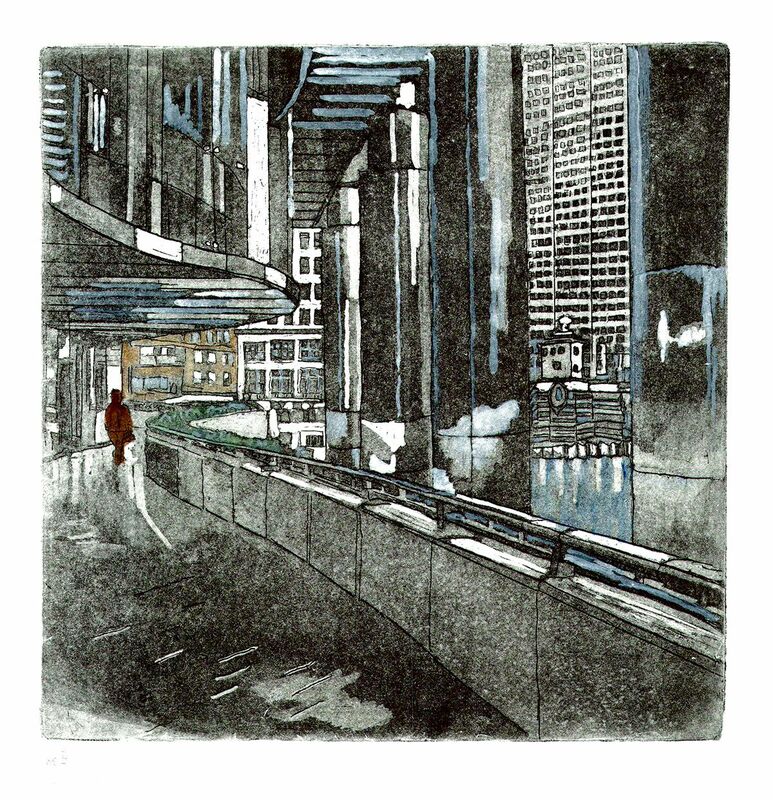 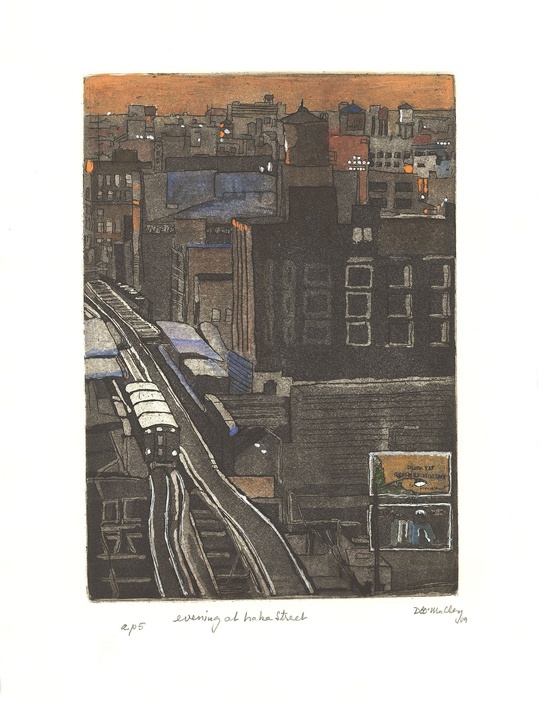 Each of his intaglio, aquatint etchings is hand printed in limited editions, signed by the artist, and often finished with individual applications of watercolor and/or chine colle. 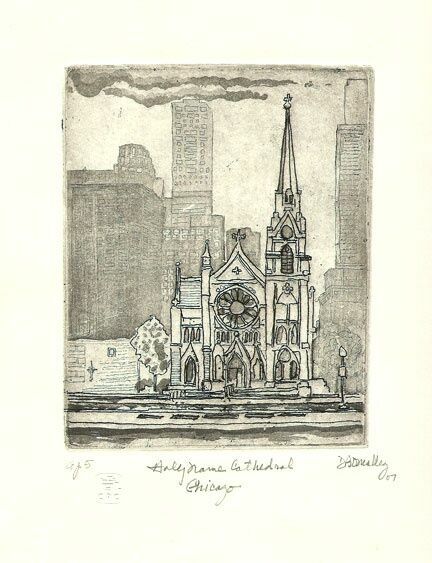 A few of his etchings include a remarque. 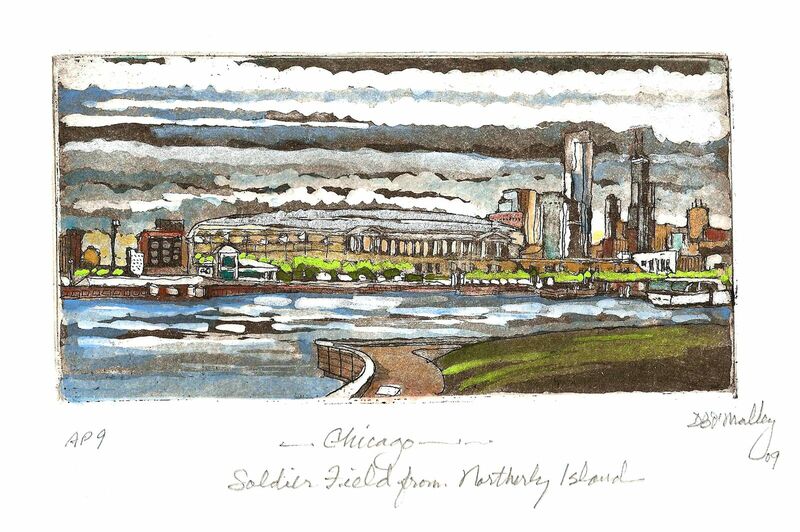 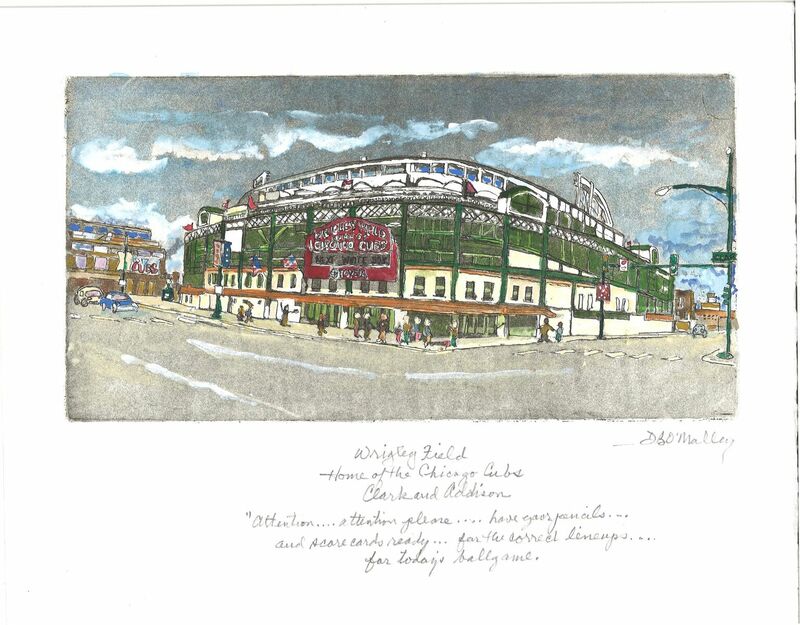 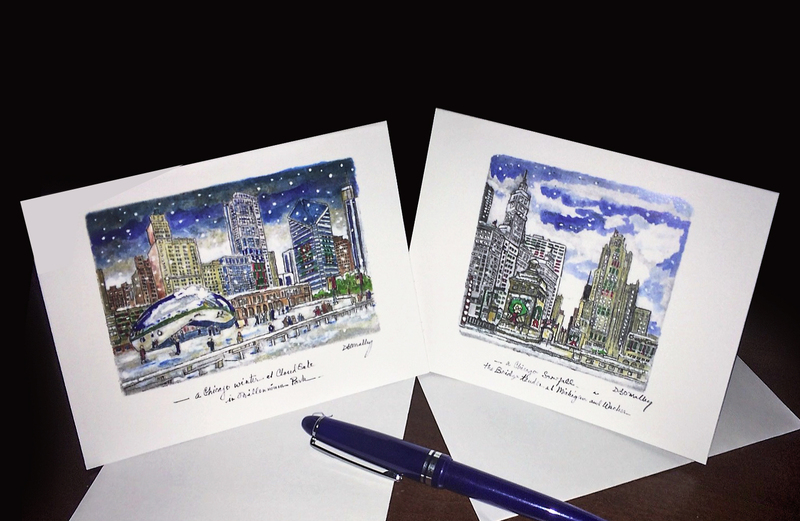 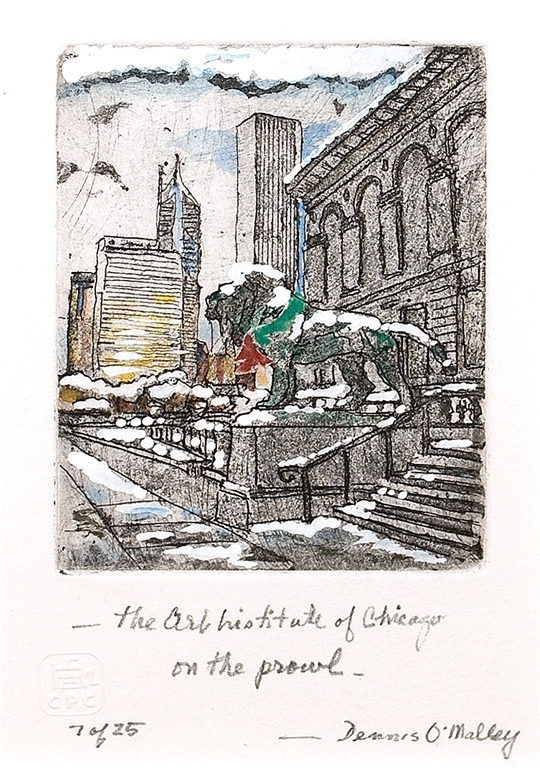 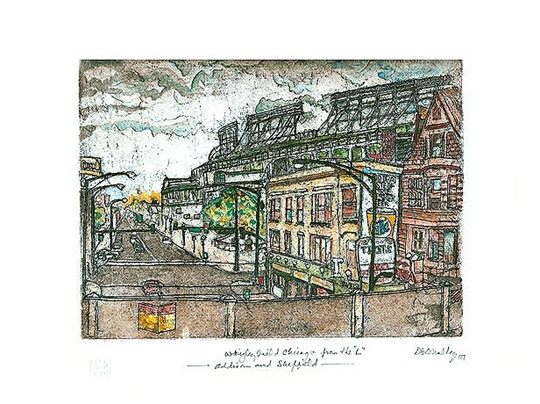 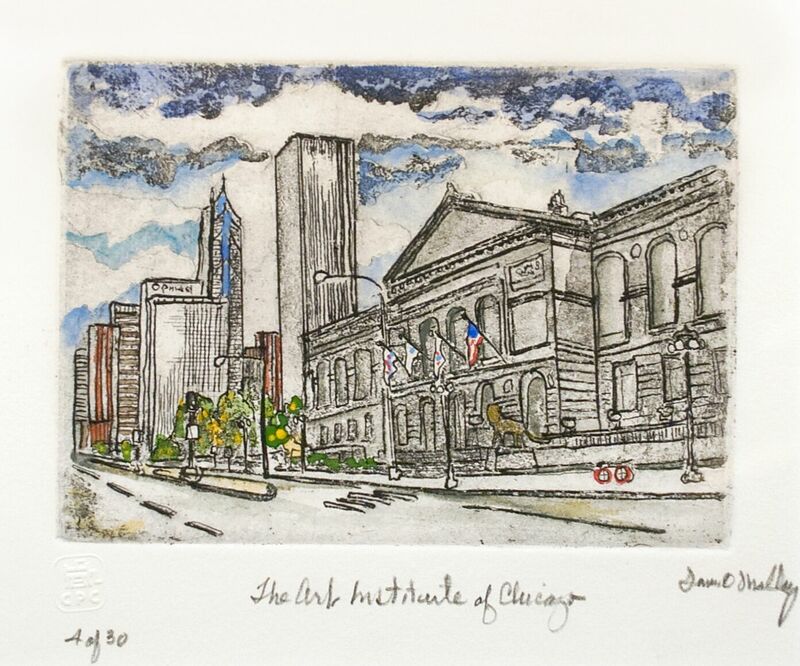 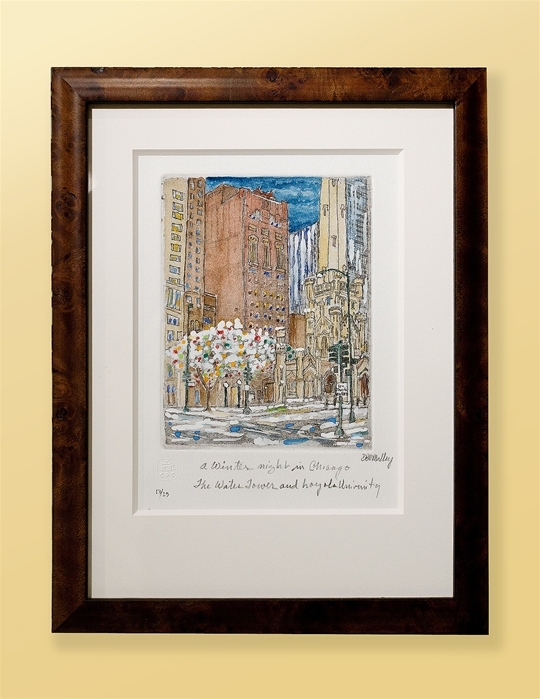 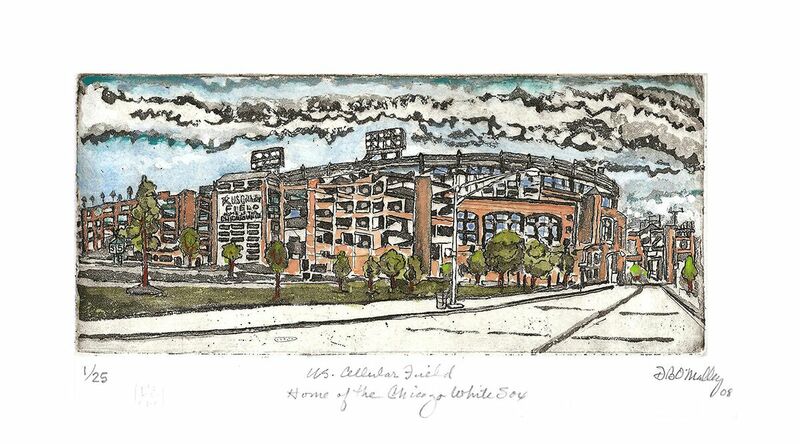 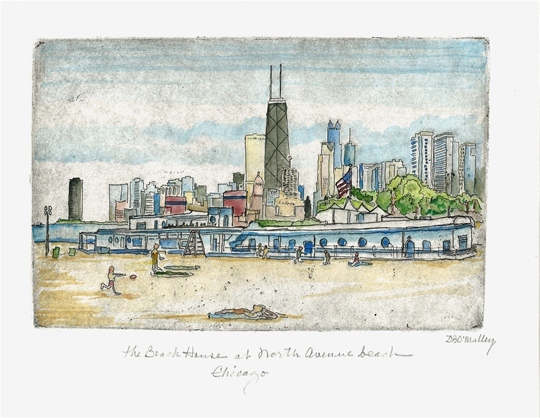 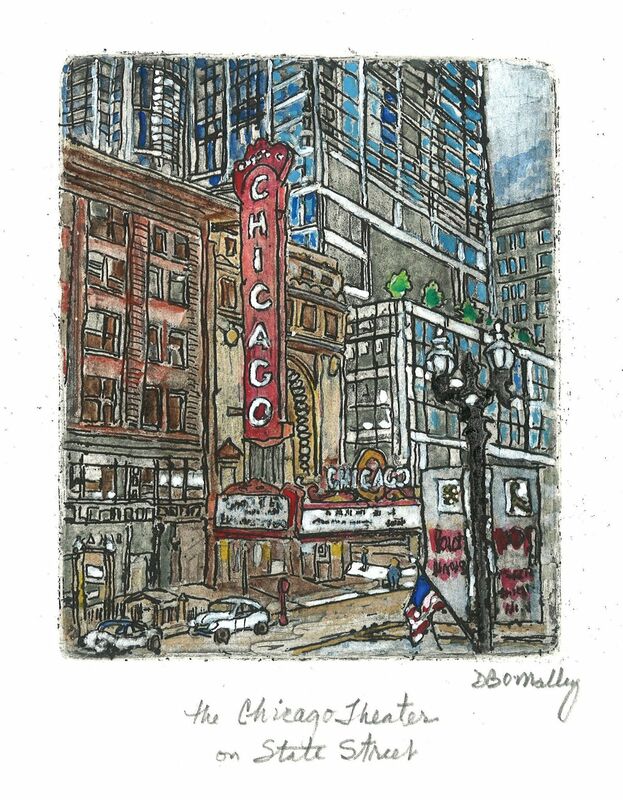 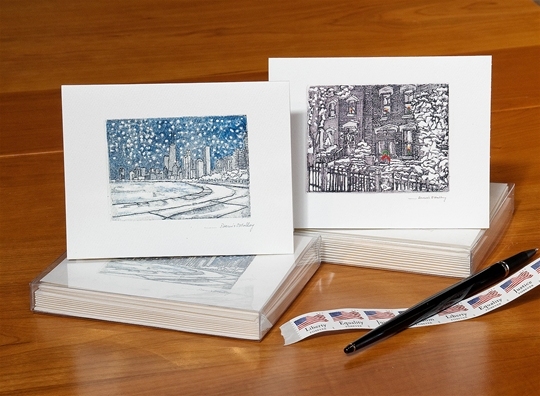 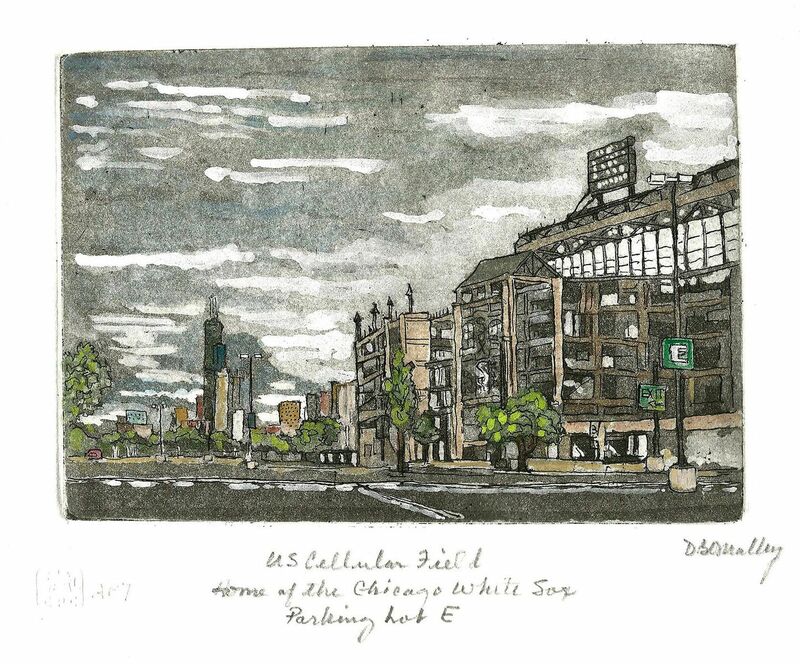 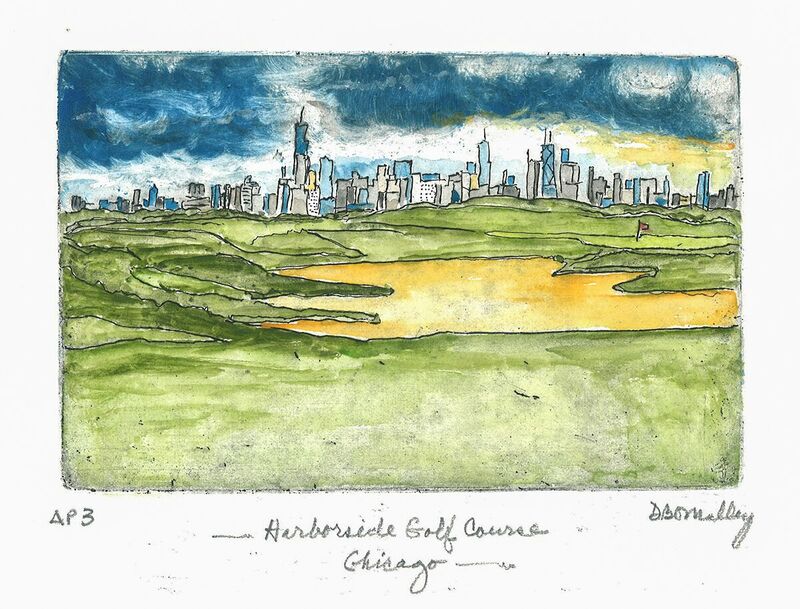 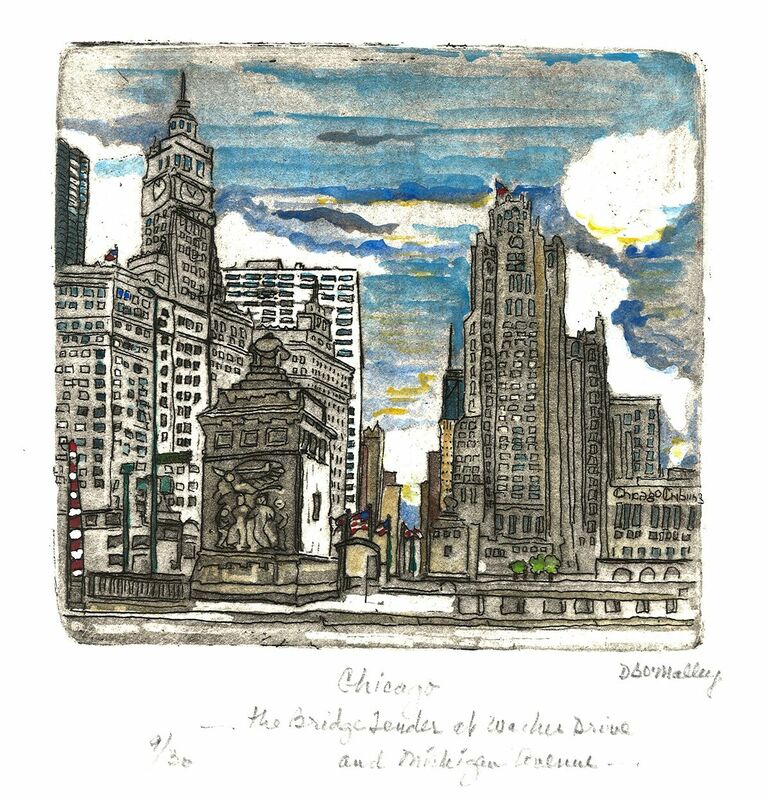 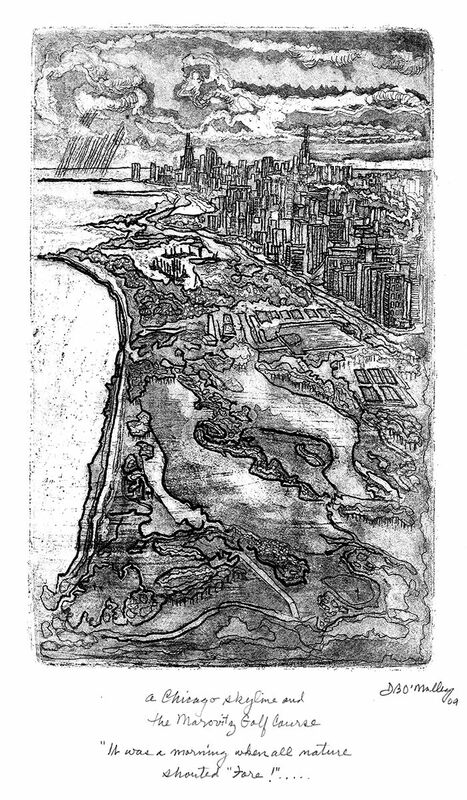 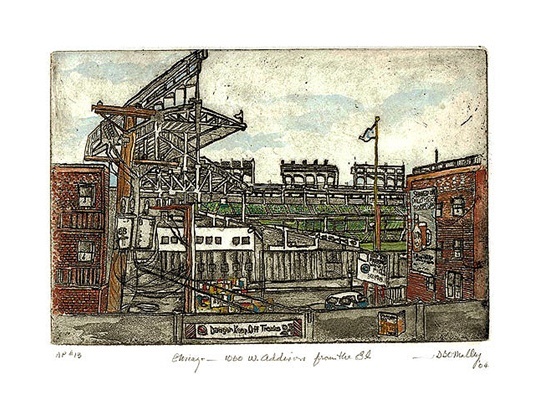 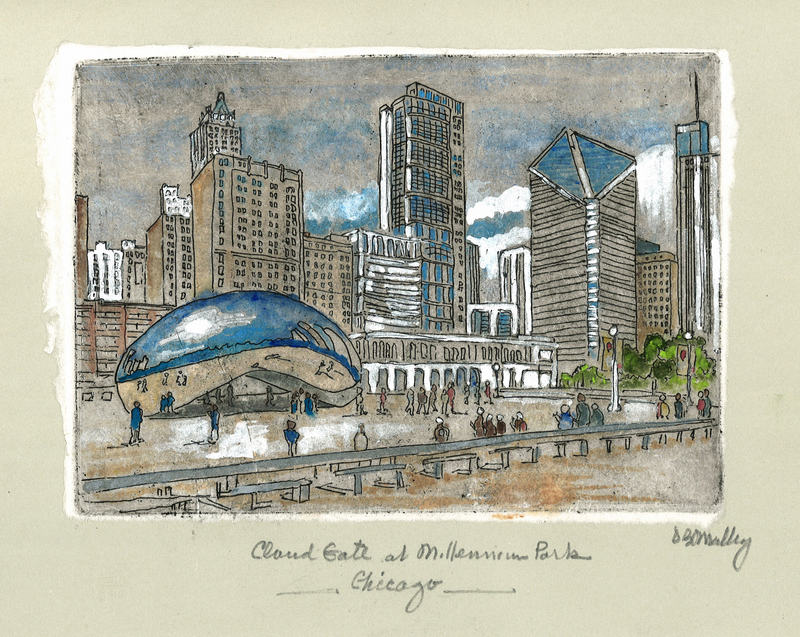 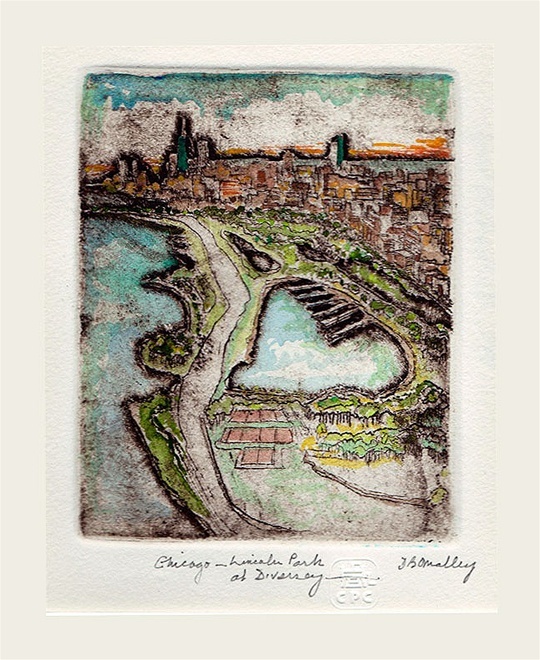 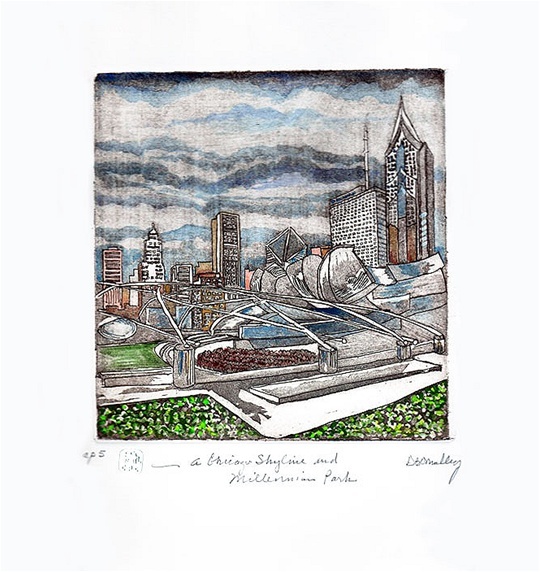 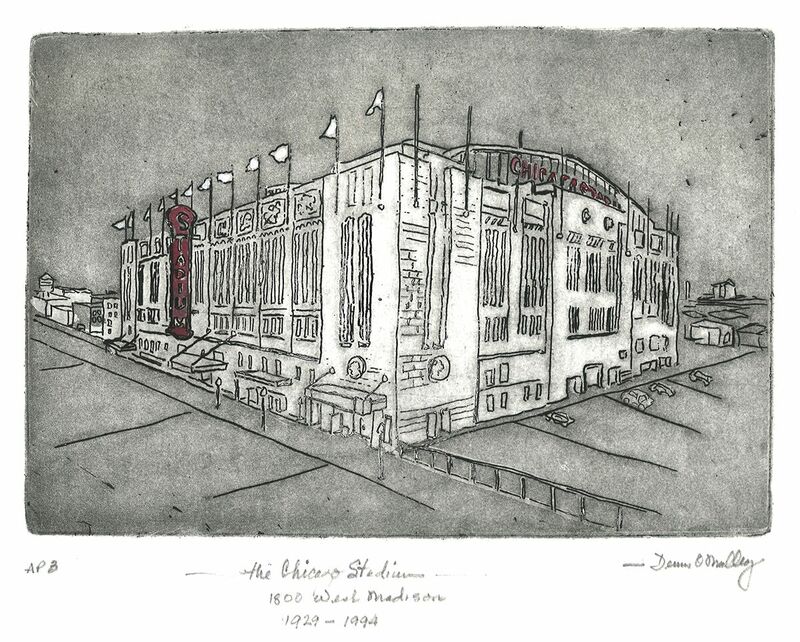 From Wrigley Field and U.S. Cellular Field to Millennium Park and the Lakefront, his etchings make lasting keepsakes and welcomed gifts.